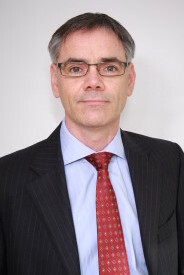 CAP LAW was founded by professional negligence lawyer Patrick McGowan, who is a qualified solicitor with over 20 years experience of legal claims and disputes. In professional negligence actions, Patrick now acts exclusively for claimants. What sets him apart from many other claimant professional negligence lawyers is his understanding of how defendants’ insurers and their panel solicitors think and operate. Earlier in his career he advised these insurers in professional negligence and other types of insurance claims, when working as a solicitor at several top-rated litigation law firms, including Pinsent Masons and DWF. The benefit of that behind the scenes insight is now applied to his clients’ advantage in their claims against solicitors, surveyors and other professionals. Patrick’s approach to claims is clear and simple: to achieve success for his clients as quickly and as cost effectively as possible. He has uncompromising standards and is utterly committed to his clients’ cases; his conscientious approach is well suited to complicated cases. He is recognised for his meticulous preparation and attention to detail, combined with thorough, robust and – when necessary – tenacious negotiation skills. Most importantly however, at all times he retains a down to earth and pragmatic approach. Patrick first undertook professional negligence work in the 1990s when, as a solicitor, he worked for a leading national law firm advising the Solicitors Indemnity Fund (at that time the sole insurer of the solicitors’ profession) on claims brought against solicitors. Since then his portfolio of work has expanded beyond legal professional negligence to other professions including surveyors, architects, financial advisers and accountants. In recent years, much of Patrick’s work has involved acting for claimants. He is a member of the Law Society of England & Wales.